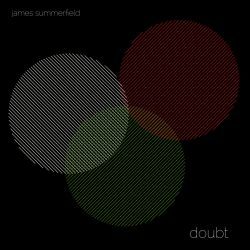 Birmingham man James Summerfield’s sixth album both conforms to and belies its title. Conformity comes from the earlier songs, where he explores and, I fear, chronicles from personal experience, struggles with mental health. But as things progress one, two, more cracks appear and the light gets in so that by the end things look, if not rosy, certainly distinctly more positive. Such subject matter might appear unpromising and the fare on offer here is certainly not light but it is uplifting and inspiring, in both its honesty and its hope and the music, regardless of the subject matter, is simply glorious. The journey begins with the stately and gorgeous lush layers of Nightingale, all West Coast harmonies and a summer of love vibe and a beautiful ode to Summerfield’s new born son. Shortly after though both Out Of The Zone and the defiant Another Country Duet take things down the darker path. Both grab the listener from the off and the songs simply bleed empathy, compassion and understanding and once again, the music, the layering of sound on sound make listening a superb sonic experience. I’ll Try Not To Ruin Christmas is ineffably sad but completely true and many with empathise with the sentiments expressed. SLO sees some light appear and a hint of happiness as Summerfield hymns the simple life and his family and the following The Best I Can details acceptance and a determination to live life to the full and enjoy it for as long as possible. More information on the inlay sheet – lyrics in particular – would have been welcome but that’s all that’s missing from this quite lovely and powerful album. Be in no doubt about that.